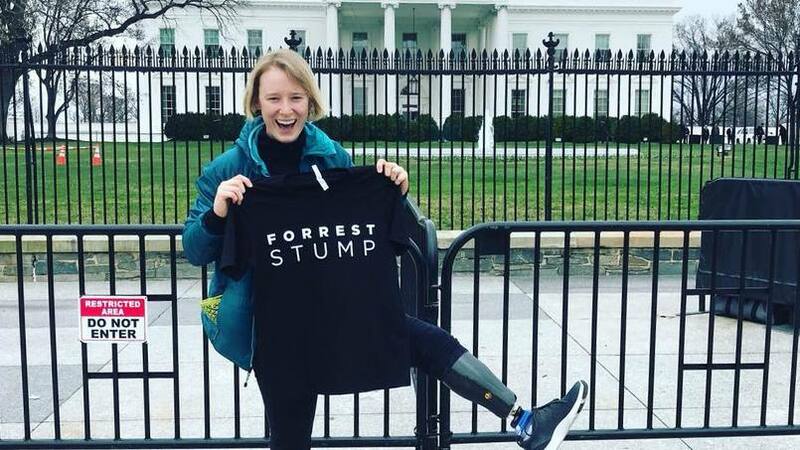 Nicole Ver Kuilen has gone to great lengths and traveled many miles to share her message about the challenges that amputees face as well as what can be done about it. Shortly after sitting down with Rep. Suzan DelBene, Nicole Ver Kuilen handed the congresswoman her leg. Or more specifically, part of it. Doctors at Mayo Clinic had amputated Nicole's left leg below the knee to save her life after she was diagnosed with bone cancer when she was just 10 years old. And although Nicole is done battling cancer, she is now engaged in another fight: highlighting the challenges and inequalities facing amputees. 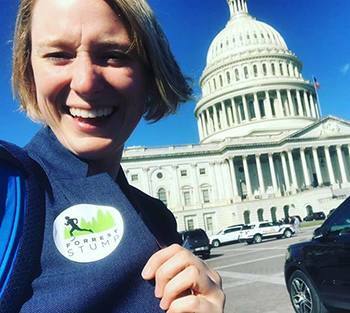 Completing a 1,500 mile triathlon down the West Coast, a project she dubbed "Forrest Stump," is one way Nicole is raising awareness. Taking her leg to power players in D.C. is another. After she wrapped up her D.C. trip, Nicole traveled to Austin, Texas, to share her story with another audience. 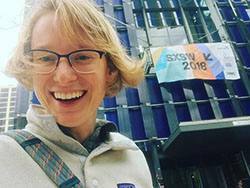 There she met with advocates, filmmakers and investors at South by Southwest. She'd been invited to the festival to attend a screening of the rough cut of "1,500 Miles," a documentary by Snowday Studio that chronicles her journey down the left coast. The film was shown during an "impact night" at the festival, and Nicole tells us that "people were blown away" by the film. "It was really special for me to be there to see the reaction," she says. "It brought people to tears, it made them laugh." When the lights came up, Nicole and the filmmakers answered questions about the film, her journey and her goals going forward. She talked about the need to change policy and improve access, and to open more eyes by sharing "1,500 Miles" with audiences at film festivals, universities and health care organizations. "I want to let people know about the inequalities facing amputees," she says. You can watch a trailer for "1,500 Miles" here. Then share your comments below before you use the handy social media tools to share this story with others.